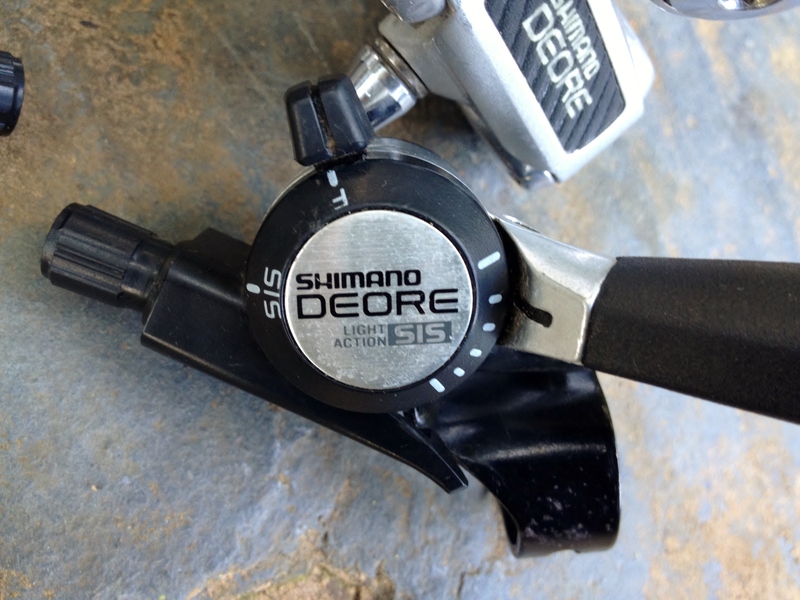 Late 1980’s Deore thumb shifter with optional friction mode. 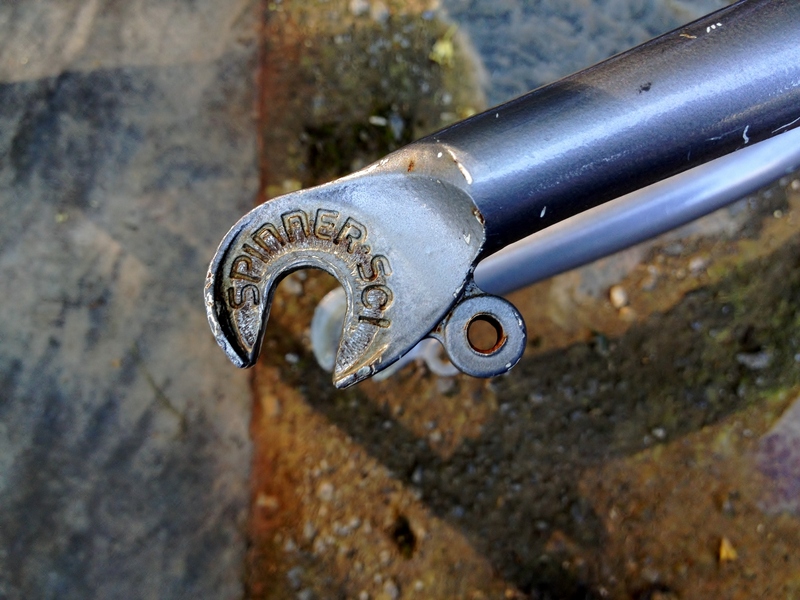 Vintage bicycle parts are often hard to come by. While I have decided not to participate in the current trend of dismantling and re-selling vintage bikes and parts on eBay, sometimes buying a bike for parts is the only way you can acquire what you are looking for. 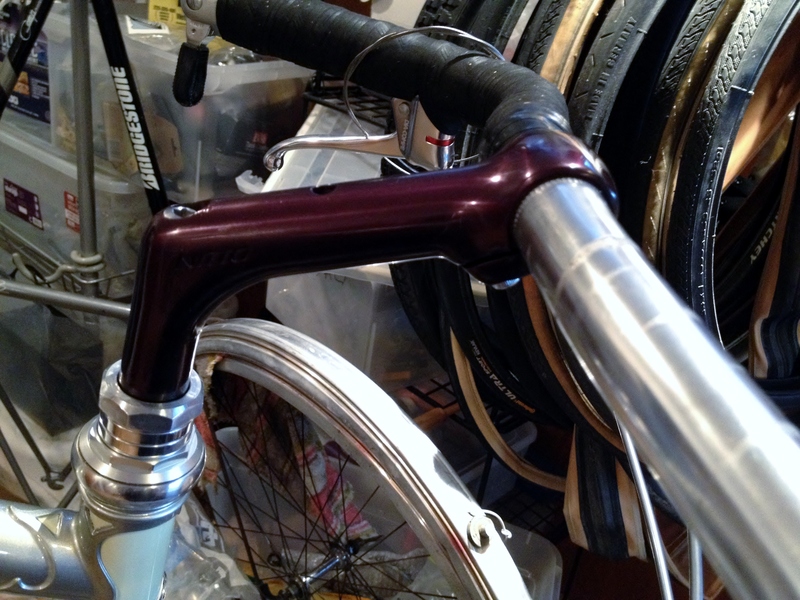 So, almost by accident, I purchased a 1989 Bridgestone MB3 in order to harvest the parts I wanted: Deore friction/SIS thumb shifters, Deore derailleurs, and a very unusual lavender anodized Nitto dirt drop style stem and Nitto bar (see below). I also noted that the bike’s wheelset looked pretty good – Deore hubs, laced with Wheelsmith spokes to a Ritchey Vantage rim. When the bike arrived, I was a little taken aback by the quality of this frameset: triple butted Ishiwata oversize tubes, and forged drop outs with eyelets. These features, combined with the two bottle cage mounts and rear seat stay rack mounts, make for a versatile frame. The secret is out that lugged steel mountain bike frames make great Portland winter commuters. I think my 1987 Panasonic MC-7500 is feeling a little threatened right now. 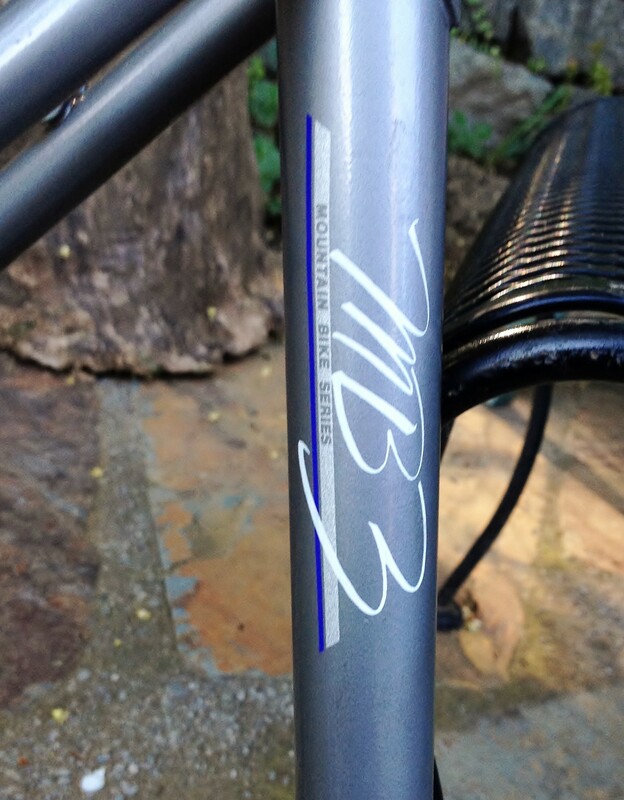 I had planned on selling or donating the MB3 frame, but now I am not so sure. 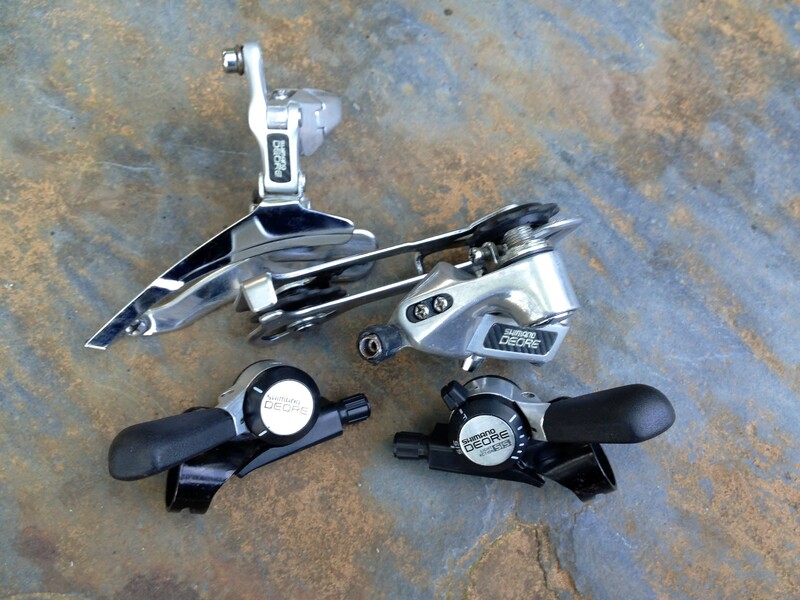 The Shimano Deore groupset dates to 1989, except for the shifters which have a 1987 date code. 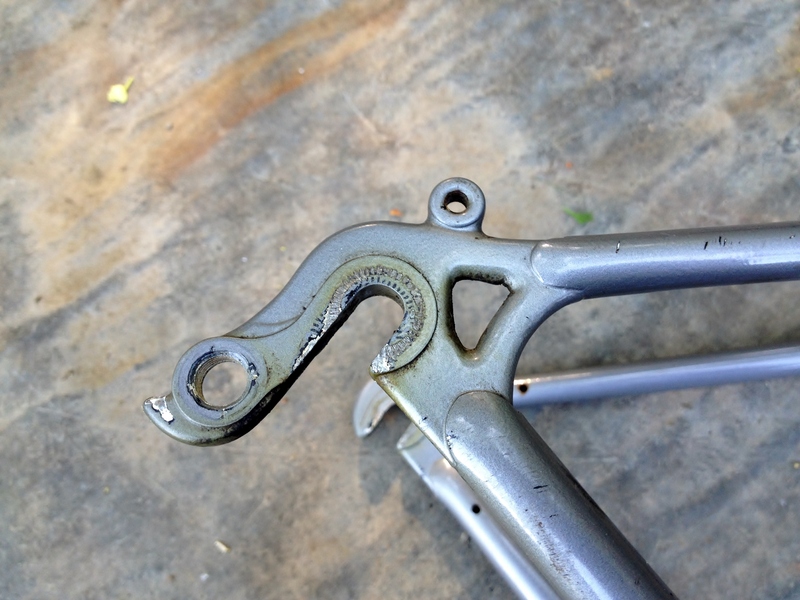 The Nitto bar is not original to the bike, and is in as new condition. The Ritchey wheelset turned out to be a real bonus. With a simple hub overhaul and minor truing, this wheelset is as nice as any 26″ example out there. The parts I wanted have exceeded my expectations, with the lavender anodized Nitto stem being the absolute gem in the group. 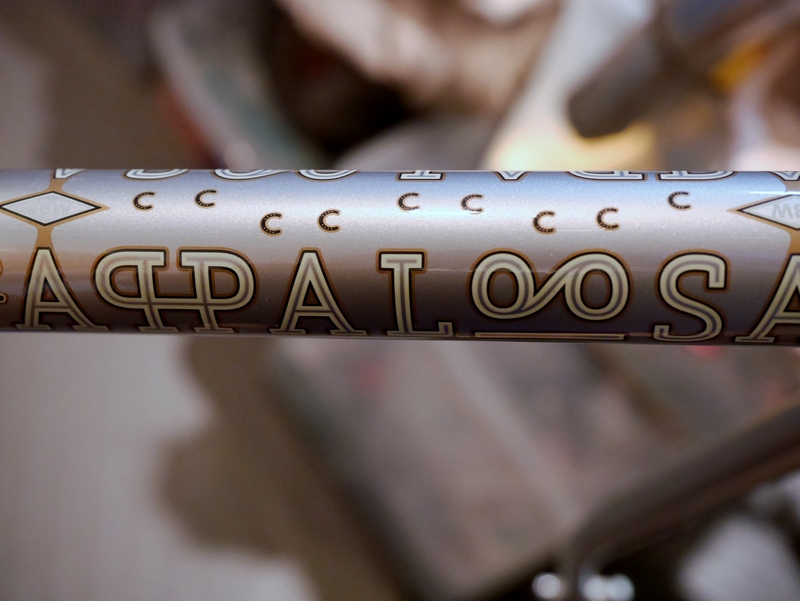 It is shown pictured above as an idea for the stem on my new Rivendell Appaloosa. The stem color picks up the brown/purple accent colors in the paint scheme, which is just what I hoped for. 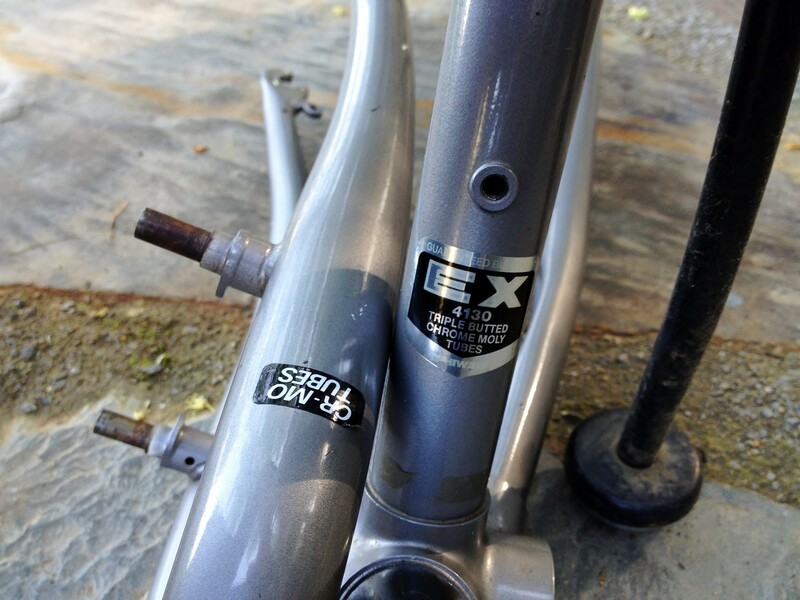 This entry was posted in Bicycle restoration, city cycling, Commuter bicycle and tagged Bridgestone bicycles, Bridgestone MB3, Ishiwata 4130, Nitto, Nitto stem, Rivendell Appaloosa, Shimano Deore, triple butted by Nola Wilken. Bookmark the permalink. Nice find! 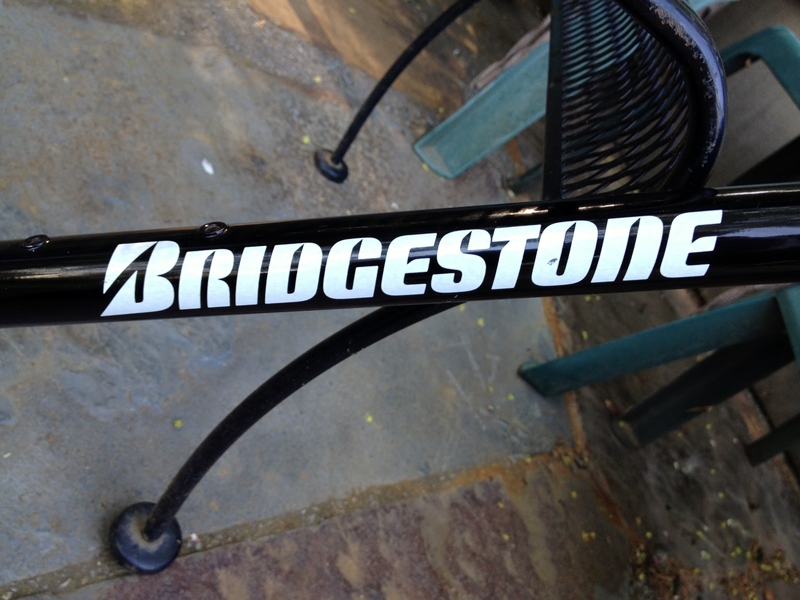 Bridgestones are great bikes. That MTB frame looks too nice to throw away ! Seems only right that Grant spec’d parts should go on a Grant spec’d frameset. There’s a nice symmetry to it. 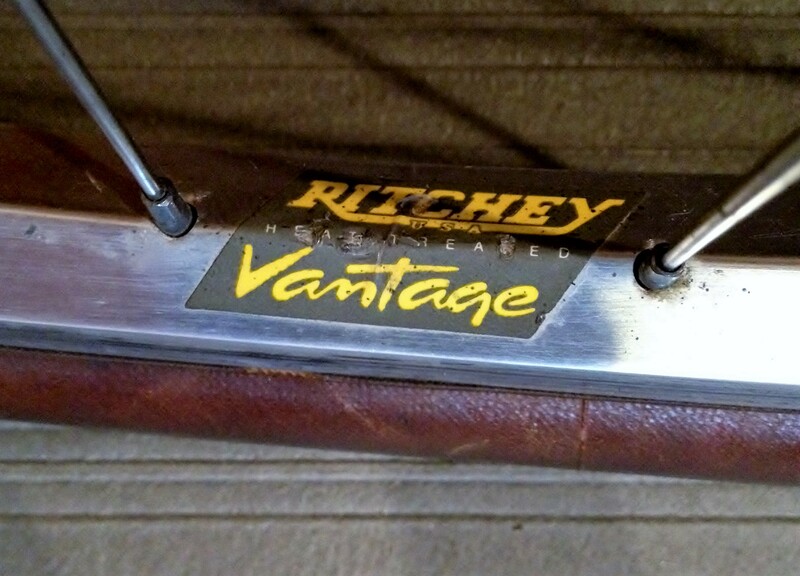 The lugged Bridgestones are Japanese built and very desirable. The Taiwanese build bikes are also nice but are TIG welded. 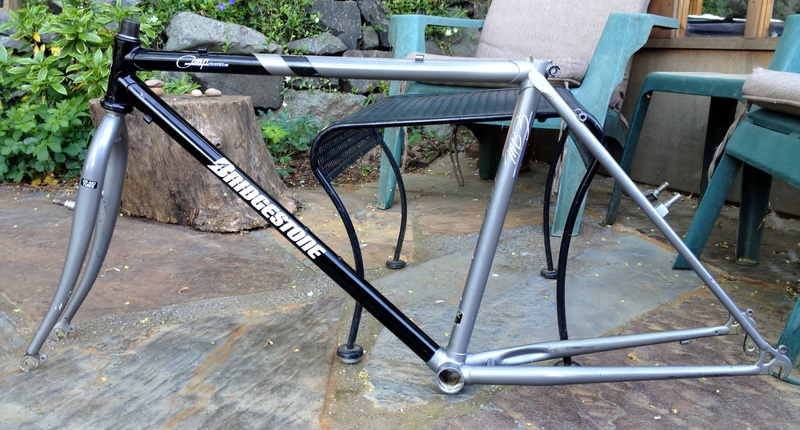 It seems I am destined to keep this nice Bridgestone MB3 frame. It rivals many other nice Japanese built offerings from this era. 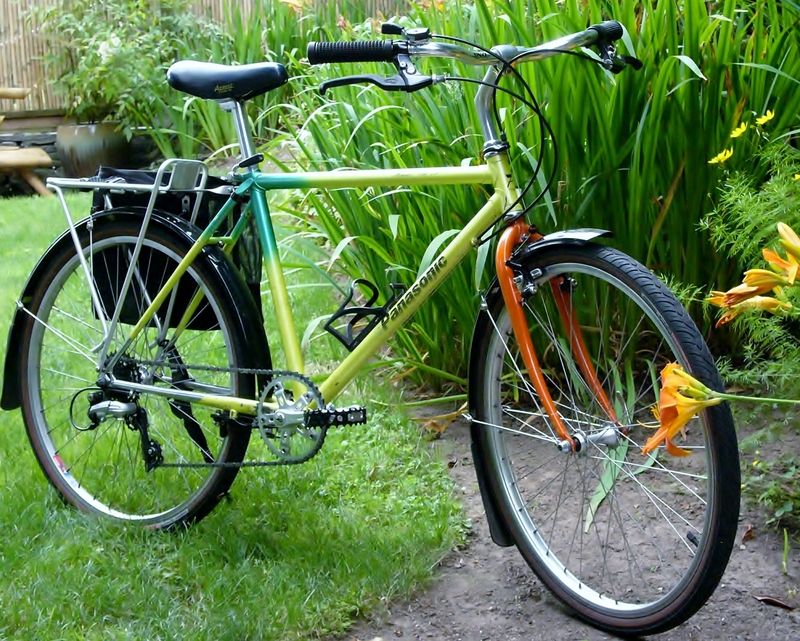 My 1987 Panasonic MC-7500 winter bike is built with Tange Prestige double butted tubes, and features a wild 1980’s lime green and yellow color scheme. That bike is a delight to ride, but the frame has been through a lot, as compared to this Bridgestone, which has a more conservative color scheme, and a slightly lighter frame and fork. It was part of my plan to go back to Rivendell’s roots in searching out the parts for my Appaloosa build. Stay tuned for progress updates! Nice score, I had an 86 Miyata Trail Runner pass through my hands recently and I am on the look out for another Lugged steel MTB. They make bomb proof PNW commuters and I read somewhere that the early MTBs share alot with touring bikes which might explain the smooth ride. That stem will be awesome on your Rivendell. I think that lavender stem may started out as anodized black. 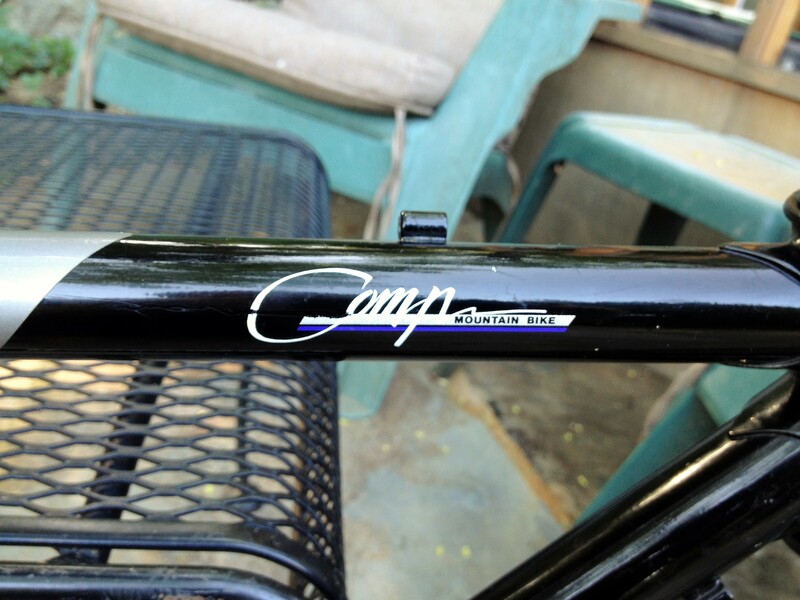 I have a 1985 Miyata Ridge Runner with what I call aubergine bars and stem, but I’m told they _were_ black. Don’t know about that. It’s lavender now and quite lovely. Anodizing is a process whereby an electrical current is used to transfer a dye to an aluminum component.